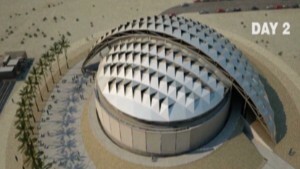 Zurich, Switzerland (CNN) -- No decision will be made on a shift in the date for soccer's Qatar 2022 World Cup before the 2014 World Cup is played, FIFA President Sepp Blatter said Friday. There has been controversy around plans to stage the 2022 contest in Qatar's intense summer heat, prompting calls to move the tournament to the winter. It had been expected ahead of the executive committee, or ExCo, meeting that a decision on whether to shift the tournament from Qatar's summer to the winter months would come Friday. But the executive committee for football's world governing body, which has met over the past two days in Zurich, has "decided to launch a consultation process among main stakeholders for Qatar 2022 dates," Blatter said via his official Twitter account. Read: What have we learned about FIFA and the 2022 World Cup? At a news conference in Zurich, Blatter also said that Qatar "needs to intervene" after allegations of abuse of migrant laborers working on infrastructure projects for the 2022 tournament -- and that the Gulf state has said it will act. "This is not FIFA's first responsibility, but we cannot ignore it, and it touches me. But it is not an intervention by FIFA that is going to change something. It is Qatar that needs to intervene, and Qatar has confirmed to me that they are going to do it," he said. 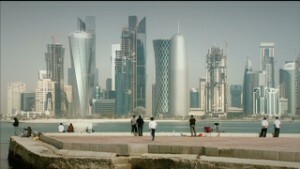 Qatar has provided a letter setting out what ministers have already started to do, he said. The delay in announcing a decision on changing the dates for the contest will allow FIFA time for broader consultations on the issue with key stakeholders, such as players, clubs, national football associations and TV broadcasters who pay huge sums for the rights to the games. Blatter said it would also mean the 2014 World Cup in Brazil could be played without being overshadowed by questions over Qatar. Blatter stressed that there is no possibility of taking the 2022 World Cup away from Qatar, as some critics have demanded. He plans to visit Qatar with members of the executive committee to see how the preparations are going, as well as to meet with Qatar's new emir, he said. Asked about remarks last month in which he said FIFA may have made a mistake in choosing Qatar for the 2022 World Cup back in 2010, Blatter said his words did not relate to the choice of location. "The mistake was to think that we could play this competition easily in the summertime," he said. "There are some doubts as to whether it is a good period to play in this heat." He acknowledged that FIFA "could have made this declaration that it is too hot a little bit earlier" but said there is still plenty of time before the tournament is played. Earlier Friday, FIFA Vice President Jeffrey Webb said, "I don't think there should be a decision today. We definitely have not been presented with an analysis. We don't know where the stakeholders are, so I think it would be irresponsible for us to take a decision today." The World Cup is usually played in the northern hemisphere's summer months, but concerns have been raised over the safety of players and football fans in Qatar, given that temperatures in July can soar to 122 degrees Fahrenheit (50 Celsius). All 54 member associations of UEFA, Europe's governing body, last month voted against holding the tournament in the Qatari summer. But a winter World Cup would cause chaos with the European domestic season, with many clubs fearing that they could lose out financially. The secretary general for the Qatar 2022 Supreme Committee, Hassan al-Thawadi, delivered a progress report Thursday to FIFA's ExCo on the Gulf nation's preparations for the event. Al-Thawadi has said that innovative cooling technologies will ensure that conditions are not too hot for visitors during the tournament. The Qatar 2022 Supreme Committee has also said it is committed to ensuring workers' safety and well-being. Ali Al Khulaifi, an international relations adviser at Qatar's Ministry of Labor and Social Affairs, said this week that Qatar is taking concrete steps to ensure that its labor rules are enforced, including making it easier for workers to report abuses by their employers. CNN's Alex Thomas reported in Zurich and Laura Smith-Spark wrote in London.